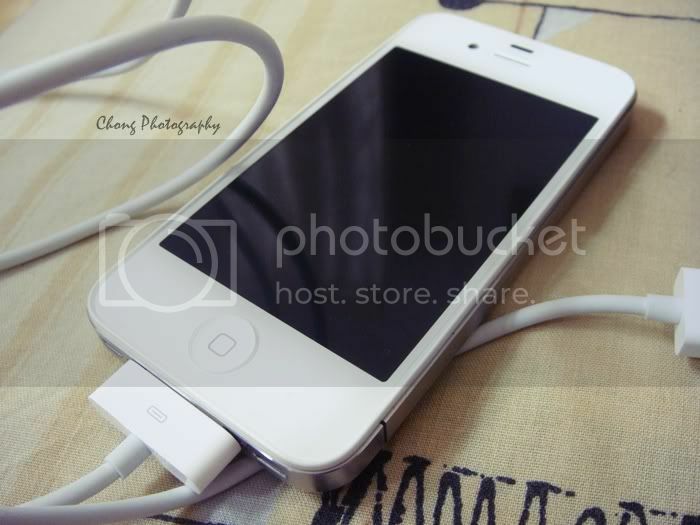 White iPhone in the house! White is better than black. Laugh. Too bad this is not mine to own, I just have it for days to kill my boredom, having fun with it now. I might get one in the future perhaps, will see then. Beautiful isn't it? The best way to enjoy your day is with FOOD!